The closing date for online entries is Thursday 6th November. 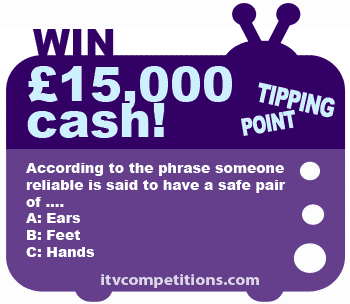 According to the phrase someone reliable is said to have a safe pair of …. Enter 5 times per phone number completely free using the online entry form at itv.com. Alternatively you can enter by phone or text…but it will cost you+£1.50 each time!